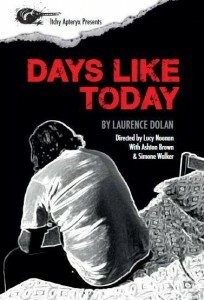 The combination of Auckland Playwright Collective’s Read Raw in 2008 and The Court Theatre’s Fresh Ink new play development programme in 2010 has certainly given substance to Laurence Dolan’s play, Days Like Today, but substance is not enough for a play to make the transition from page to stage. It requires a ruthless director and mature cast, who will question everything and make choices based on a psychological and practical investigation of the characters and circumstances respectively. 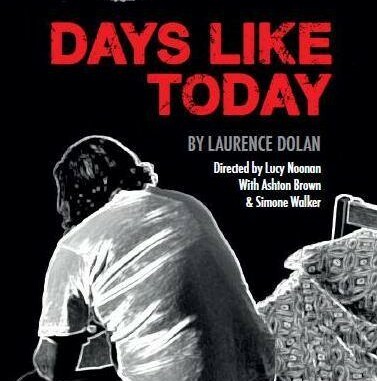 At times the dialogue in Days Like Today progresses with a Pinteresque patter, and when director Lucy Noonan, and the cast, Ashton Brown and Simone Walker, tune into it, the show sings along. At other times, the dialogue sounds like an art-house film student script that hits with the subtlety of a semi t-boning you at an intersection. It’s a shocking inconsistency that prevents the kernel of the drama from truly developing and affecting its audience. Brown resorts to sarcasm, a classic misplaced defence mechanism that prevents him from digging deeper into the character and making more interesting choices, and throws odd upward inflections onto the ends of particular lines, turning statements into questions. Walker tends to fall into certain vocal rhythms, and doesn’t find the variety of shade that would provide her character with the complexity it requires. He tells us she’s changed, but without seeing the cracks in her façade as the pressure increases, we simply have to take his word for it. 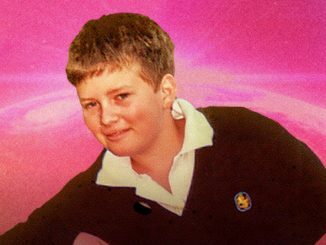 These actors are too young for the circumstances, both emotionally and logistically, especially when noting that the play’s development phases had the likes of Jared Turner, Toby Leach, and Claire Chitham involved. If we’re to assume that their youth is based on the play’s inspiration, then we need to see the characteristics of that particular demographic. While Dolan’s script does put forward an interesting pair of characters with a strong dramatic conflict, the last line absolutely abolishes everything that has come before it, and when the play begins a natural conclusion 40 minutes in, an additional conflict is piled onto the script, as opposed to growing organically from the drama. However, with a more experienced team involved, it’s possible that the faults inherent in Dolan’s script could be overcome. Unfortunately, this was not the production to do so. 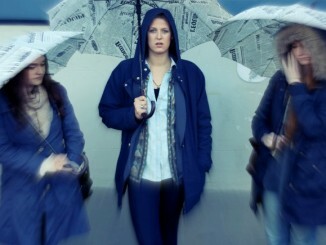 Days Like Today is presented by Itchy Apteryx and plays at The Basement until June 6. For details see The Basement.